In 1905 George Troup, later Mayor of Wellington, bought 365 acres in Karehana Bay with brother-in-law Charles Moore. They bred Friesian cattle. Troup designed Turville House in Motuhara Road as his holiday home but sold it a few years later while keeping the farm. George Troup was born in London to Scottish parents and raised in Edinburgh. His father died in 1874 when George was 11. Although the family was never well off George inherited his father’s burgess status (full rights of citizenship) in Aberdeen. This entitled him to free board and tuition at Aberdeen’s Robert Gordon College. He had a good education and took up an apprenticeship with an engineering, surveying and architectural firm in Edinburgh. After his mother died in 1883 Troup followed his three sisters to New Zealand. He worked his passage to Dunedin, as second pantryman on the immigrant ship Fenstanton. There he became a surveyor around Otago until joining the NZ Railways as a draughtsman. In 1888 he was moved to Head Office in Wellington where he served for 40 years until his retirement in 1925. Troup built an impressive 12-room home in Kelburn with magnificent views over the harbour and became highly involved in the life of St John’s Presbyterian Church in Willis Street. He set up the Boys Institute (later the Boys and Girls Institute in Tasman Street) and remained on its management committee for 36 years. In the early 1900s the Plimmerton coast was considered a good investment as a seaside resort, a future port for access to the South Island, and a brick-making centre. Troup saw his opportunity. There are differing versions of his land purchase. 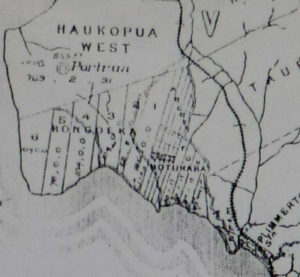 Firstly, records suggest that in 1905 he purchased 365 acres of the Motuhara Block in Karehana Bay in partnership with his brother-in-law Charles Moore and architect James McKay. Secondly, and more likely, he had an arrangement with William Tomsitt who actually put his name to the purchase in 1905 and on sold it to Troup, Moore and McKay two years later. In any event, by August 1906 Troup had chosen a spot high on the ridge above the Bay and designed a large stone home with white walls and an orange tiled roof. He planned to use this house as a show home for a private architectural practice which would allow him to give up his job with NZ Railways. Troup was corresponding with the Public Trustee in an effort to get road access across the Native Reserve land at the north end of Steyne Avenue so he could transport building materials to the site. To provide access for this road, he bought 10 acres between ‘his’ land and the Reserve, as well as a small section of the Wellington and Manawatu Railway Company strip of land at the end of Steyne Avenue. Despite his efforts he failed to get permission to cross the Reserve and by the end of that year he had diverted his road in a dog-leg from Steyne Ave up Motuhara Road thus by-passing the eastern end of the Reserve. The house, built by Hermann Schultz and Tommy Miles, sits little changed today at 75 Motuhara Road. It has been known as Turville House since April 1917 when the Rixon family rented the property prior to 61783 Private John Wingrove Rixon going to war. The Rixon family originate from Turville, Berkshire, England. Locals considered it strange to build such a grand house so far from Wellington and for many years called the house ‘Troup’s Folly’. 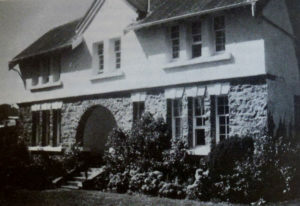 However, Troup’s sister, Christina, and brother-in-law, Charles Moore, were impressed and asked Troup to design a cottage for them in a similar style; Somme House on Moana Road below. Troup’s architectural practice did not grow and his health was suffering. Attempts to subdivide the valley below in 1909 and again in 1912 had limited success. He sold the house and some surrounding land in 1914. Thereafter the house passed through many owners. Between 1947 and 1956 it was a convalescent and beach cottage for Wellington Hospital nurses. At the suggestion of his doctor, Troup took up cattle breeding. With members of the original syndicate, he bought stud cattle for what they called the Cluny Holstein-Friesian Farm. Although lacking practical farming skills, he had a good sense of animal selection, management and breeding and rose to serve as President of the Friesian Cattle Breeders Association. In May 1920 he put a subdivision, including Airlie and Gordon Roads and Ogilvie Terrace, on the market. Despite this, the syndicate’s finances proved insufficient for the farming venture and in 1923 they sold Cluny Farm along with two blocks they had purchased at Upper Hutt. Troup retained unsold sections on the floor of the Bay and returned to Wellington to follow his interests there. As NZ Railways architect, Troup designed Wellington and Dunedin Railway Stations and many other distinctive stations. For the Dunedin design he gained the nickname ‘Gingerbread George’. The current Plimmerton railway station was built to one of his standard designs and is now the last example of its kind in the Wellington area. Troup was a generous benefactor to Karehana Bay. In 1922 he donated the section at 3 Cluny Road to the Presbyterian Church and 15 years later donated the land for Karehana Park (see site 31 Karehana Bay in italics). 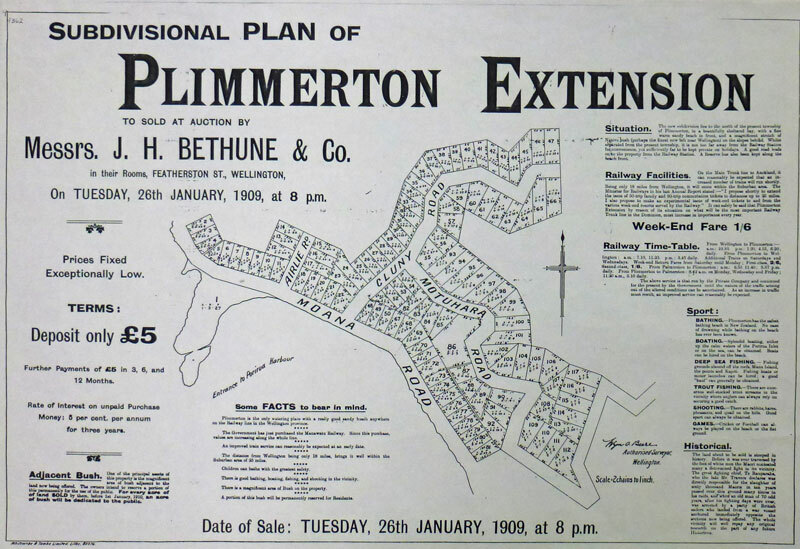 His estate sold The Point to the Plimmerton Boating Club at a much reduced price in 1942. 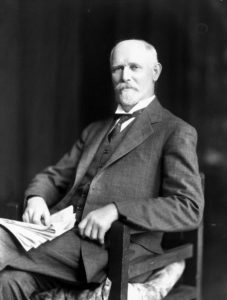 After retirement Troup turned to local government politics and in 1927 was elected Mayor of Wellington on a policy of city development and public works. Troup received a CMG in the King’s Birthday Honours of 1931 and became Sir George Troup in 1937. In recent years the little street off the top of Motuhara Road was named Toups Road for Sir George but is in need of a spelling correction.